Japanese Fusion Cuisine in Great Roseville Area! This Japanese restaurant is situated on an end-cap of a shopping center located in the upscale area of Roseville close to global Hi-Tech companies such as HP and NEC. 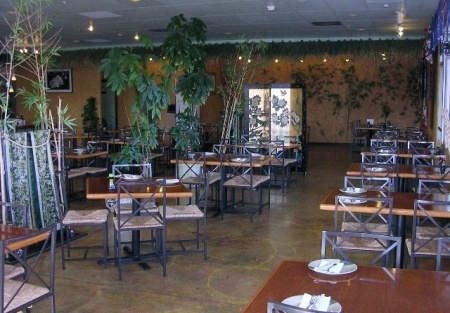 The interior is absolutely beautiful with a large sushi bar, stained concrete floors and well selected colors. There is plenty of parking. The dinning room seats 128 guests. This is a full service restaurant. In addition the current owner has established a catering business. There are 4 years remaining on the lease. Base rent is $6,990 per month plus CAM for this 3,400 sq. ft. restaurant. This restaurant can convert to Thai, American, Chinese or any new concept. Seller has been working hard needs to take a short break with his family. Click �Want Name and Address� link now to find out this location and to see more photos. This is a Paramount Restaurant Brokers, Inc. DBA SellingRestaurants.com listing. Restaurant is Surrounded Nice Neighborhood. 4 Years Remaining Lease Terms. Base Rent $6,990 Plus CAM for 3400+ sq/ft.